ANNOUNCING THE AMAZING KIDS!’ AMAZING SUMMER “FUN”RAISER! **Help Us Reach Our Goal of $5,000 by September 1st! An American Girl Grace doll – one of the cool prizes to be given away this summer! Help Support the Amazing Kids! Magazine and our Amazing Kids! PenPals Program for Kids! NOTE: Due to technical issues with our website during the month of June, we have EXTENDED our FUNraiser until Sept. 1st. From now until Sept. 1st, kids and adults alike can participate in our Summer “FUN”raiser! You can help Amazing Kids! raise our goal of $5,000 and show your support for our kid-created, award-winning and user-supported Amazing Kids! Magazine and our literacy and friendship-building Amazing Kids! PenPals Program…all while having fun winning prizes and doing good at the same time! Before donating, please be sure to read the following rules carefully, to make sure you meet all the requirements and are eligible for the giveaway. Thank you for your support! For the American Girl doll fans in your household, you’ll be pleased to hear that American Girl is donating their Grace, Doll of the Year, for our first prize (an over $100 value)! A huge Thank You! to all the great folks at American Girl for their support! In the time-honored American Girl tradition, there soon will be a Grace movie to help tell Grace’s story. Be sure to check out the new Grace movie DVD, which just launched on June 23! CityPASS is donating 2 CityPASSes to a city nearest to the winner of the CityPASS drawing in our Summer FUNraiser giveaway, a value of over $100! 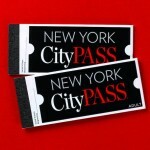 CityPASS ticket booklets are a great way to see a cities top attractions while saving up to 50 percent on admission prices and skipping most main-entrance ticket lines. Stay tuned for an additional announcement in August about another exciting big name sponsor (hint: football fans will love this one!) ;-), as part of our Amazing Kids! Amazing Summer “FUN”raiser this summer! Note: Postmarks for the first prize drawing period must be dated before the August 15 date, in order for the donation to be received in the mail by the deadline). Winners will be announced on August 16 on the Amazing Kids! Facebook page and Twitter feed. Note: You can have as many people as you want helping you raise donations, but when the winner of each drawing is announced, the prize will be mailed to the person whose name and address is listed as the donor in the Amazing Kids! online donation form or on the donation check. Amazing Kids! will be holding drawings for prizes (“giveaways”) throughout the summer, through September 1st, 2015. For the first drawing on August 16, for each donation you make, in any amount, you will receive one entry into the drawing for one of the two prizes listed above. b. either Tweeting or retweeting about the Amazing Kids! “FUN”raiser using the hashtag: #amazingkidsFUNraiser. Get started TODAY by asking your family and friends to donate to support Amazing Kids! and help you become the TOP “FUN”raiser! All Ages Welcome! U.S. citizens, whether adults, teens or children under age 13 who have their parents’ permission! 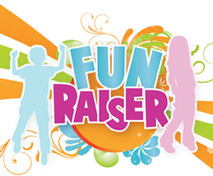 Parents and kids can have fun while doing good, by participating together in the FUN Raiser! 2) by mailing a check or money order to Amazing Kids!. For your tax records, our non-profit EIN number is: 95-4771247. Please note on your check, or in a cover letter, that the donation is for the “Summer FUNraiser”. Please be sure to spread the word about the Amazing Kids! Summer “FUN”Raiser to your friends and family! Email us: info@amazing-kids.org with “FUNraiser” in the subject line. Enter today by clicking the “Donate” button below!